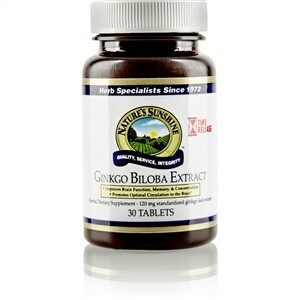 Promotes optimal blood circulation and oxygen to the brain. Supports memory and concentration functions. 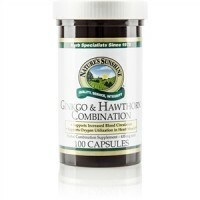 Helps support blood flow to the extremities. Ginkgo is a powerful free radical scavenger. It helps protect blood vessels and optimizes the amount of oxygen supplied to brain cells. It may also help support blood flow to the extremities. 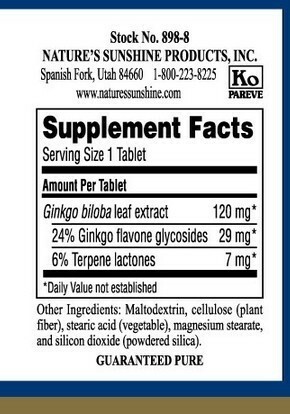 Each tablet is 120 mg concentrated ginkgo leaf extract standardized to ginkgo flavone glycosides and terpene lactones.